As you know we are on a Pilgrimage to Santiago De Compostela, together with the Brazilian author Paulo Coelho, one of my favorite authors. Paulo Coelho has written a lot of wonderful novels in which you can find how his spirituality has evolved. The Pilgrimage is a beautiful story and while we are on our way to Santiago De Compostela we are reading this wonderful novel. 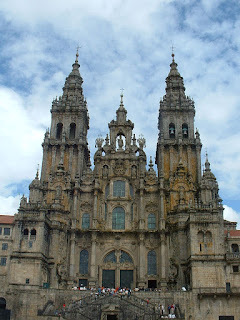 We are almost on our way, but before we really start to walk the road to Santiago, I love to tell you a little bit more about the history of this Pilgrimage, as is written in The Pilgrimage. Just as the Muslin tradition requires that all members of the faith, at least once in their life, make the same pilgrimage that Muhammad made from Mecca to Medina, so Christians in the first millennium considered three routes to be sacred. Each of them offered a series of blessings and indulgences to those who traveled its length. The first led to the tomb of Saint Peter in Rome; its travelers, who were called wanderers, took the cross as their symbol. The second led to the Holy Sepulcher of Christ in Jerusalem; those who took this road were called Palmists, since they had as their symbol the palm branches with which Jesus was greeted when he entered that city. There was a third road, which led to the mortal remains of the apostle, San Tiago – Saint James in English, Jacques in French, Giacomo in Italian, Jacob in Latin. He was buried at a place on the Iberian peninsula where, one night, a shepherd had seen a brilliant star above a field. The legend says that not only San Tiago but also the Virgin Mary went there shortly after the death of Christ, carrying the word of the Evangelist and exhorting the people to convert. The site came to be known as Compostela – the star field – and there a city had arisen that drew travelers from every part of the Christian world. 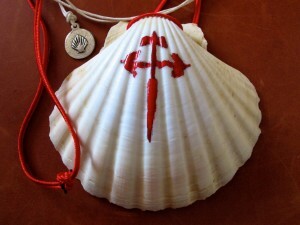 These travelers were called pilgrims, and their symbol was the scallop shell. At the height of its fame, during the fourteenth century, the Milky Way – another name for the third road, since at night the pilgrims plotted their course using this galaxy – was traveled each year by more than a million people from every corner of Europe. 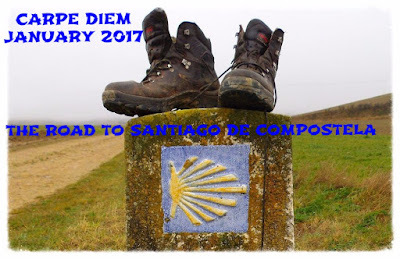 Even today, mystics, devotees, and researchers traverse on foot the seven hundred kilometers that separate the French city of Saint-Jean-Pied-de-Port from the cathedral of Santiago de Compostela in Spain. 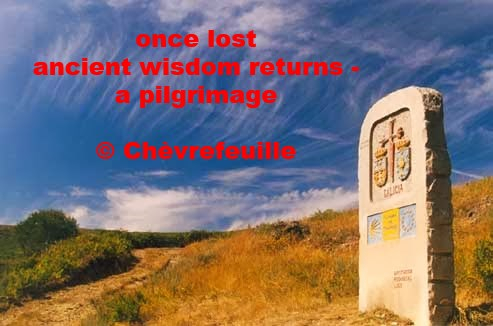 Thanks to the French priest, Aymeric Picaud, who walked to Compostela in 1123, the route followed by the pilgrims today is exactly the same as the medieval path taken by Charlemagne, Saint Francis of Assisi, Isabella of Castile, and, most recently, by Pope John XXIII. Picaud wrote five books about his experience. They were presented as the work of Pope Calixtus II – a devotee of San Tiago – and they were later known as the Codex Calixtinus. In Book Five of the codex, Picaud identified the natural features, fountains, hospitals, shelters, and cities found along the road. 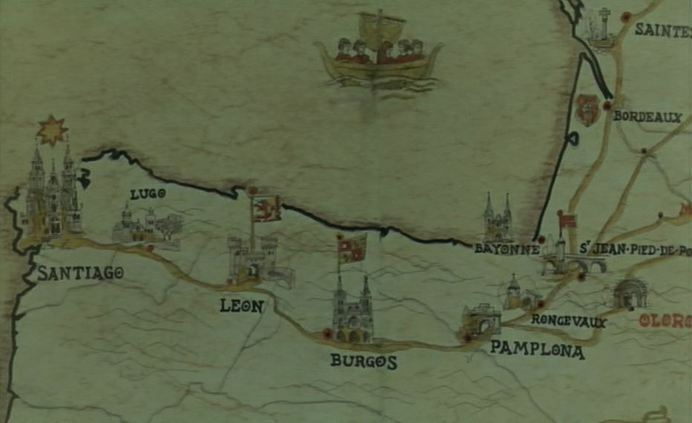 A special society – ‘Les Amis de Saint-Jacques’ – was formed with the charge of maintaining all of the natural markings on the route and helping to guide the pilgrims, using Picaud’s annotations. Also in the twelfth century, Spain began to capitalize on the legend of San Tiago as the country fought against the Moors who had invaded the peninsula. Several militant religious orders were established along the Road to Santiago, and the apostle’s ashes became a powerful symbol in the fight against the Muslims. The Muslims, in turn, claimed that they had with them one of Muhammad’s arms and took that as their guiding symbol. By the time Spain had regained control of the country, the militant orders had become so strong that they posed a threat to the nobility, and the Catholic kings had to intervene directly to prevent the orders from mounting an insurgency. As a result, the Road to Santiago was gradually forgotten, and were it not for sporadic artistic manifestations – in paintings such as Buñuel’s The Milky Way and Juan Manoel Serrat’s Wanderer – no one today would remember that millions of the people who would one day settle the New World had passed along that route. Buñuel's "Milky Way" painting above shows the Road to Santiago De Compostela, this is probably the ancient route as is mentioned in the Codex Calixtinus by Picaud. I hope you did like this episode, my excuses for being late with publishing, but I am on the nightshift, and I hope it will inspire you to create haiku, tanka or an other Japanese poetry form. This episode is NOW OPEN for your submissions and will remain open until January 8th at noon (CET). I will publish our next episode in which we will really start our pilgrimage to Santiago, later on. Well THAT was a whole new and fascinating piece of info for more. Nice mirror tanka there.